As part of our ongoing effort to monitor legal developments concerning social media evidence, we again searched online legal databases of state and federal court decisions across the United States — this time to identify the number of cases in the last 12 month period ending August 26, 2016 — where evidence from social networking sites played a sig nificant role. The initial search returned over 14,000 results. That is far too many to review manually, but through random sampling to eliminate duplicates and de minimis entries — defined as cases with merely cursory or passing mentions of social media sites — we counted over 9,500 cases accessible through Westlaw. This represents over a 50 percent increase from 2015. And as only a very small number of cases — approximately one percent of all filed cases — involve a published decision or brief that we can access online, it is safe to assume that hundreds of thousands more cases involved social media evidence during this time period. Additionally, these cases do not reflect the presumably many hundreds of thousands of more instances where social media evidence was relevant to a corporate or law enforcement investigation yet did not evolve into actual litigation. Even so, this limited survey is an important metric establishing the ubiquitous nature of social media evidence, its unequivocal and compelling importance, and the necessity of best practices technology to search and collect this data for litigation and compliance requirements. US v. Brown (D.C. No. 3-13-cr-00037-001) (3rd Circuit August 25, 2016). 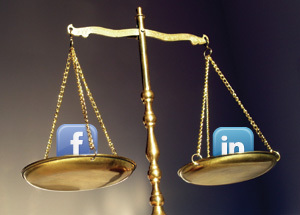 The opening line in the Federal Appellate Court’s opinion reads: “The advent of social media has presented the courts with new challenges in the prosecution of criminal offenses, including in the way data is authenticated under the Federal Rules of Evidence—a prerequisite to admissibility at trial.” The court goes on to rule that social media is not self-authenticating but must be authenticated through extrinsic or circumstantial evidence under Federal Rule of Evidence 901. I have previously addressed this issue concerning utilizing circumstantial evidence to authenticate social media evidence under Rule 901 and how social media investigation software is instrumental for that purpose. Stewart v. State of Iowa (No. 14-0583) (C.A. Iowa, August 17 2016). Defendant brought a motion for mistrial after it was discovered (post-trial) through key Facebook evidence that several jurors appeared to be associated with the key witness, despite those jurors’ denials during voir dire. However, the court disallowed the screenshots of the Facebook pages as lacking proper authentication and denied the motion for mistrial. This case underscores the necessity of a timely and proper social media investigation (not mere screen shots), as well as the general importance of conducting social media due diligence on prospective and empaneled jurors. In addition to case law, another metric reflecting the industry’s standardization of social media evidence collection is the sheer volume of sophisticated customers that have now adopted X1 Social Discovery. Over 400 eDiscovery and computer forensics services firms have at least one paid copy of X1 Social Discovery. I cannot think of a single service provider in the eDiscovery space that performs at least some ESI collection services that does not have at least one paid X1 Social license. Social media evidence collection is now a standard practice in many law enforcement matters as well. So, if you are one of the minority of digital investigative or eDiscovery professionals who have not adopted X1 Social Discovery, please contact us for a demo today.